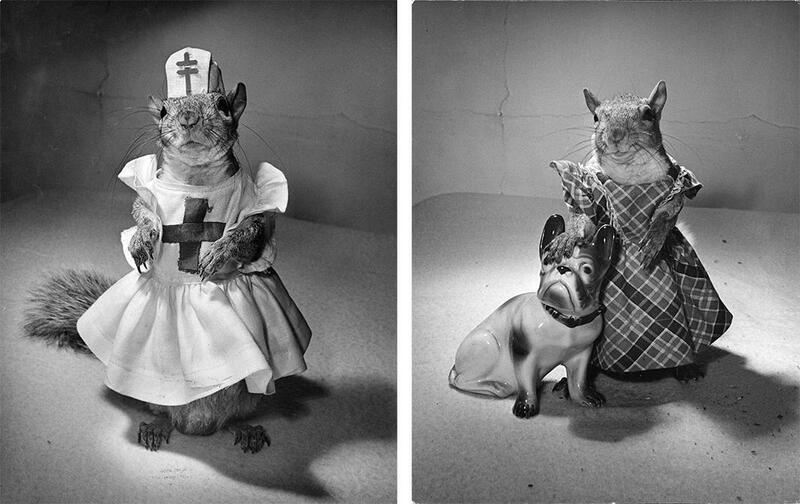 Nina Leen: A mysterious person and a prolific photographer of animals and the eccentric (PHOTOS). Left: Members of the Young Women’s Republican Club of Milford, CT, 1941. Right: Popular Shoulder Length Hairstyles for Teenagers, 1947. There isn’t a lot that we know about Nina Leen, a Life magazine staff photographer from 1945 until the magazine switched from a weekly publication to a monthly one in 1972, and whose images appeared on more than 40 of the magazine’s covers. In John Loengard’s book Life Photographers: What They Saw, Leen, who died in 1995, discusses growing up around Europe and having a variety of childhood pets, including a monkey and some snakes. She also mentions that one of her favorite early jobs was working as a photographer in a zoo. Indeed, her imagery of animals is some of her best-known work. She was also be drawn to a variety of eccentric people and subjects, a combination seen in her behind the scenes with Ringling Brothers in 1949. Last fall, a collector consigned one of Leen’s prints, Teenagers at a Party, Tulsa, Oklahoma, 1947, for the curator and galleriest Daniel Cooney’s online auction. Left: Tommy Tucker, 1944. Right: Tommy Tucker, 1944. Left: Actress Joan Roberts during Intermission from Oklahoma, roaring with laughter with her English Bulldog Goggles, 1944. 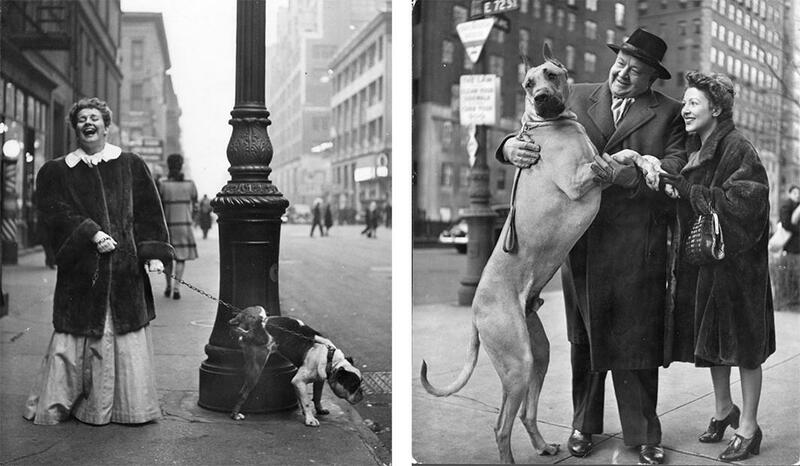 Right: Metropolitan Opera’s Heldentenor Lauritz Melchoir and wife with his great dane, NYC, 1944. Cooney said he was most attracted by they ways in which Leen excelled within assignments she was given, such as her work with Tommy Tucker, the orphaned and trained grey squirrel. Editing the show proved to be a challenge because Cooney is telling a story about a photographer he’s never met and about whom little is known. From hundreds of images, he selected the fewer than 40 that he found to be the most compelling. 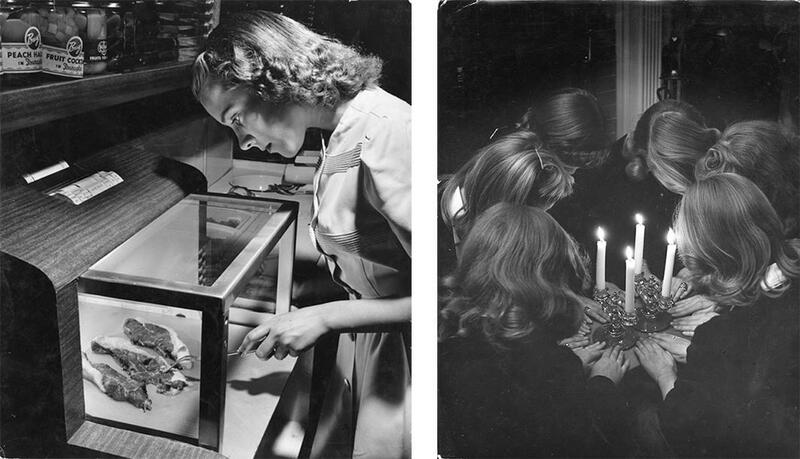 Left: Oven at the Kitchen of Tomorrow Exhibition, Toledo, OH, 1943. Right: High School Sorority Initiation Ritual, Wester Groves, MO, 1944. To help curate the show, he worked with Amy Wong of Life Gallery of Photography and Rebekah Burgess of Time, Inc. Unfortunately, they weren’t able to provide any more background information about Leen. “Nina Leen: Lenslady” will be on view at Daniel Cooney Fine Art in New York from March 26 through May 15. Left: Teenager boys heckling girls at a hen party, Des Moines, Iowa, c. late 1940s. 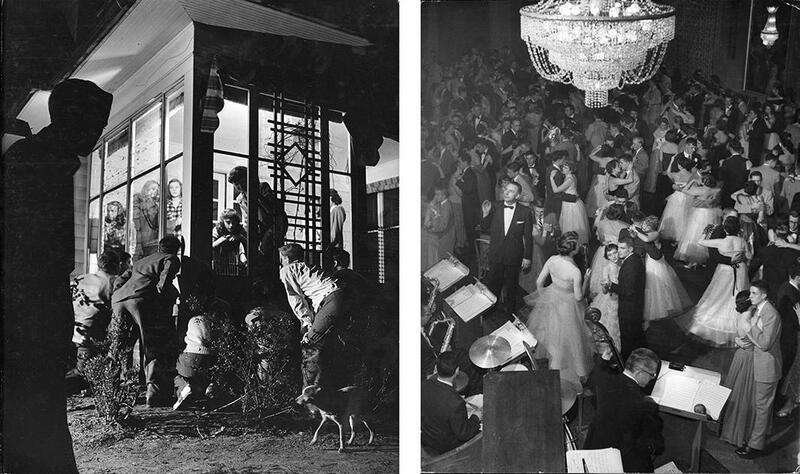 Right: Young Couple’s Formal Dance, 1953.